Group revenue during the first six months of the current year increased by 66%, of which 9.1% was organic with the balance coming from operations acquired in the reporting periods. General conditions in our main market of the UK remain positive with recent reported growth from our industry body, BFPA of 6.7%†, most of this advance being driven by product price increases across the sector. Similar conditions are being experienced in our European operations. 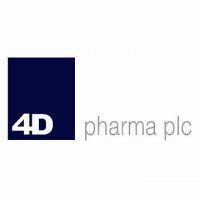 In addition to this, we have continued to see commercial benefit being created by the interaction of the wider industry offer we have now created via our Profit Centre network in the UK, Ireland and the Benelux. Gross margins remain strong and in line with market expectations. The acquisition of Beaumanor into our Flowtechnology division in March of this year significantly increased the Group’s market share within the maintenance, repair and operation (MRO) market and gave access to a second warehouse based in the Midlands. The Board is again pleased to report that in the four months since the acquisition was completed, the reaction from staff, customers and suppliers of Beaumanor, together with its sister PMC business, Derek Lane, has been positive, and, our work on extracting long-term procurement benefit remains on track to bear fruit in 2019 and beyond. Net debt at 30 June 2018 was £17.5m is slightly higher than we had envisaged; this is primarily due to higher stocking levels because of longer lead times. We expect net debt at the year-end to be in the range £16m to £17m, and reduce thereafter. Beyond this, the prospects for further acquisition activity in the medium to long term across our key geographies and, in our primary product and supplier channels, remains positive. Flowtech Fluidpower plc will release its Half-year results on Tuesday, 18 September 2018. 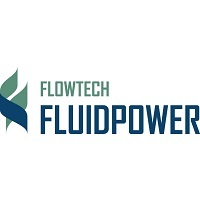 The announcement will be available to view and download from the Company’s website www.flowtechfluidpower.com. Click FLO for the full archive.